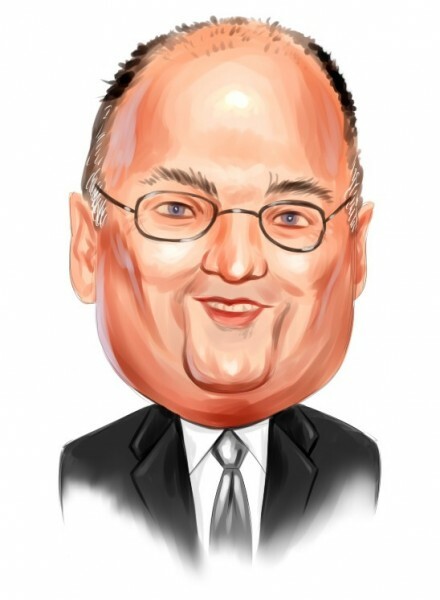 Steve Cohen’s Point72 Asset Management has disclosed a 6.39 million share passive stake in Ironwood Pharmaceuticals Inc. (NASDAQ:IRWD), which represents 5.0% of the company’s outstanding common stock. This marks an increase of 5.01 million shares from the previous position reported for the period of June 30 in Cohen’s latest 13F filing with the U.S. Securities and Exchange Commission. Point72 Asset Management LP, formerly known as SAC Capital Advisors, is a family office that manages the assets of its founder, Steven A. Cohen, and other eligible employees. Cohen changed the name of his SAC Capital Advisors a little more than a year ago, as the hedge fund stopped managing outside investors’ money to settle U.S. allegations of insider trading. His re-branded Point72 employs a long/short equity strategy, and primarily makes quantitative and macro investments. As stated by the firm’s most recent 13F filing, Cohen’s firm and its affiliates manage a public equity portfolio worth $14.44 billion as of June 30. In addition to the latest move, Point72 also recently disclosed acquiring a 5.4% stake in newly-public company Houlihan Lokey Inc. (NYSE:HLI). Professional investors like Cohen spend considerable time and money conducting due diligence on each company they invest in, which makes them the perfect investors to emulate. However, we also know that the returns of hedge funds on the whole have not been good for several years, underperforming the market. We analyzed the historical stock picks of these investors and our research revealed that the small-cap picks of these funds performed far better than their large-cap picks, which is where most of their money is invested and why their performances as a whole have been poor. Why pay fees to invest in both the best and worst ideas of a particular hedge fund when you can simply mimic the best ideas of the best fund managers on your own? A portfolio consisting of the 15 most popular small-cap stock picks among the funds we track has returned 118% and beaten the market by more than 60 percentage points since the end of August 2012 (see the details). Ironwood Pharmaceuticals Inc. (NASDAQ:IRWD) is a pharmaceutical company that engages in the research, development, and commercialization of human therapeutic products. Specifically, the company has discovered, developed, and is currently commercializing, linaclotide, which is a guanylate cyclase-C (GC-C) agonist for the treatment of both irritable bowel syndrome with constipation (IBS-C) and chronic idiopathic constipation (CIC) in adults. Ironwood’s product for the treatment of chronic constipation has seen significant growth over the last few months, but it seems that the market sees this growth as transitory. The company’s shares have dropped by over 28% year-to-date and the stock’s quick rebound at the beginning of August turned out to be unsustainable. From the 737 hedge fund that we observe, Samuel Isaly’s Orbimed Advisors is the top shareholder in Ironwood Pharmaceuticals Inc. (NASDAQ:IRWD), holding a sizable stake of 12.40 million shares at the end of June.